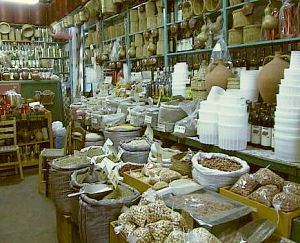 Local Naxos Products, Cheese, Herbs, Drinks, Kitro, Onions, Potatoes, Milk, Mizithra - Naxos island, Cyclades - Greece. Raki and wine from naxos villages. - Vallindras and Promponas. - Tourist and Business Guide of Naxos. Beaches, hotels in naxos, studios, naxos rooms, apartments, history of naxos island, villages, windsurfing, shops, travel. Naxos island, Naxos hotels, Naxos rooms, sports, cinema, holidays, photos, maps, accomodation, camping, online bookings. Photo gallery, Hotels, beaches, Mikri Vigla beach, Agios Prokopios, Agia Anna, Plaka, Apollonas, Filoti, Apiranthos, Chora Naxos. Ferries to Naxos, cheap flights, rent a car, car rentals, nightclub, guestbook, greek recipies, greek language. Cheese: Graviera, Anthotiro, Kefalotyri, Mizithra, Arseniko. Naxos produces exquisite alcoholic drinks. Some of them are rumoured to have medicinal power. Try the wonderful "Raki with honey", as well as the famous "Kitro" drink. Kitro drinks as well as other local drinks and delicacies can be bought from Brasiliana, Vallindras and Promponas. You may also want to try the wine made at some of the villages of Naxos, such as Filoti, Koronos kai Koronida/Komiaki. You can buy some and you get it directly from the barrel. Naxos' Potatoes and Onions are famous for their wonderful and distinct taste. Ask for them at a local grocery store. Also, the local herbs have a wonderful smell and taste and it would be a good idea to get some. Naxos has a great variety of traditional art to show. The Weavers' Association of Komiaki and the Traditional Women's Art Association keep many types of traditional Naxian art alive. 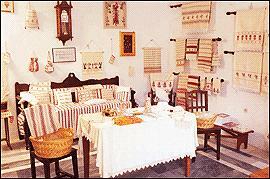 It would be a good idea to visit them and have a look at the traditional art of Naxos. Also note www.poloralphlaurenaustralia.biz that during the summer the are various exhibitions in Chora, usually held at the premises of the 1st Primary School of Chora Naxos, near the port. Marble and Emery from Naxos are widely known. Naxian marble is one of best marbles in the world. Same applies to the island's emery. It was used a lot in the past in wars and is still being used for medicinal and other reasons.